You can make sure automatic updates are enabled, so you have the latest features, fixes, and website compatibility. Open and unlock 1Password, then choose 1Password > Preferences. Turn on “Automatically check for updates”. To automatically install updates, turn on “Automatically install updates”. To manually check for updates, click Check Now. To make sure you don’t miss an update, turn on notifications for 1Password. Click Software Update, then click Advanced. Turn on “Install app updates from the Mac App Store”. Turn on “Install app updates”. To manually check for updates, choose Apple menu > App Store, then click Updates. If you’re not sure which version of macOS you have, learn how to find your macOS version number. 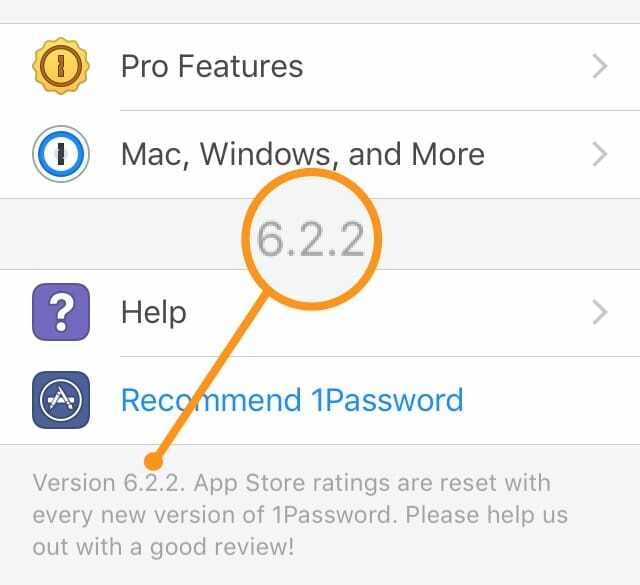 The App Store updates all your iOS apps, including 1Password. Turn on automatic downloads for updates. To manually check for updates, open the App Store app, then tap Updates. If updates are available, tap Update to download and install them. To find the version number, open and unlock 1Password, then tap Settings. Scroll down to find the version number. 1Password checks for updates every day, five minutes after you open the app. If 1Password is locked, it will update itself automatically. If 1Password is unlocked, it will notify you that an update is available. If you’re having trouble updating, contact 1Password Support for help. Google Play updates all your Android apps, including 1Password. Set up automatic updates. To manually check for updates, open the Google Play Store app, then tap > My apps & games. If updates are available, tap Update to download and install them. To find the version number, open and unlock 1Password, then tap Settings > About.